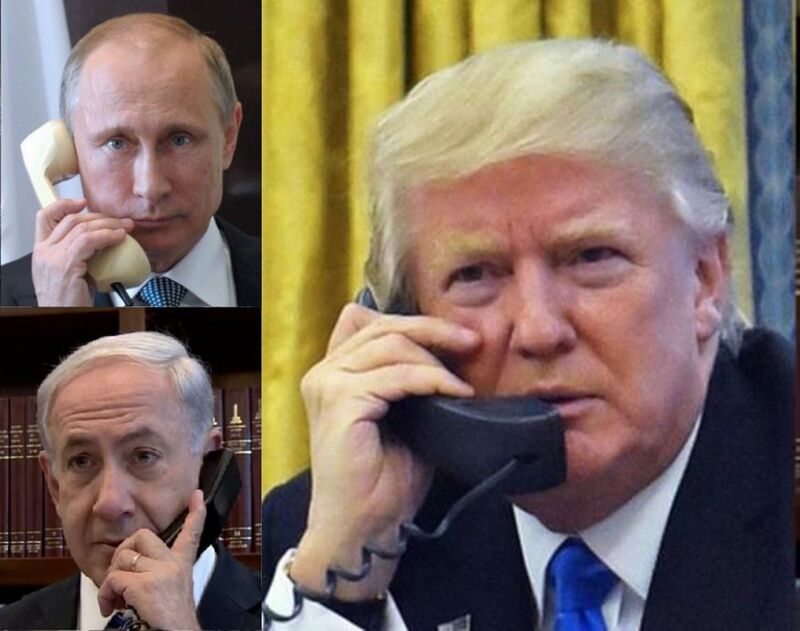 The US, Russian and Israeli leaders tried toning down their saber-rattling over the weekend – especially regarding Iran – even as fighting continued in Syria. Prime Minister Binyamin Netanyahu, for instance, has delivered countless speeches vowing that Israel would never let Iran sink its military claws into Syria. However, on Thursday night, March 1, unnamed “senior Israeli sources” pointedly reported that due to Russian pressure, Iran had backed off its plan to establish a naval base at the Syrian port of Tartous and, moreover, “Israel was satisfied with a process that had led a certain moderation in Iranian activity in Syria.” This unattributed comment, which is totally at odds with the prime minister’s published stance, came four days before he arrives in Washington for talks with President Donald Trump. Does it mean that he has taken off his White House agenda a prospective Israeli attack on the military footholds Iran is establishing in Syria, under cover of Russia’s high stealth fighters? Unlikely, or only as a temporary gambit. It is no secret that asking the UN Security Council for action on a crisis can effectively bury it for months. Therefore, the nearly half million Syrian civilians of East Ghouta will continue for some time to come be trapped as hostages between indiscriminate Syrian bombardment and rebel intransigence. In the meantime, the Trump administration has effectively tied its own hands against repeating the devastating cruise missile attack of last April, which ravaged the Syrian Shayrat air base to punish the Assad regime for using poison gas against civilians. Also late Thursday, Turkish warplanes killed 18 pro-Assad Popular Forces fighters in Afrin and 19 more were missing, after they downed a Turkish helicopter gunship. The mercurial Middle East and the barbaric Syrian conflict are unlikely to give any of the three leaders much pause, whatever interim measure they choose to buy a bit of temporary calm, so long as Turkey, Iran and Bashar Assad, along with other rogue players, remain out of control. The US needs to immediately join with Israel to bomb the Iranian infrastructure and military targets in Lebanon and Syria. The longer Iran-Hezbollah think that they are free to occupy, terrorize invade, conquer, and bring their Islamic fascism to the Mediterranean and the world, the harder it will be to get rid of the bloodthirsty mullahs. I prefer the Iranian/\Hezbollah Islam variant over the Saudi any day. Or the Syrian secularism, highly preferred over the sharia practicing Salafists. Reasonable people would find both “variants” unacceptable next to his/her country because they are in a constant state of war against everyone: Jews, Christians, and even their own. It is unbelievable how people take sides with evil by pointing to what they think is greater evil – but they refuse to support good over evil. Obama took this a huge step further by siding with evil against good. Leftists share in a desire to destroy the western world and see their Islamist soldier friends in Iran as a means to that end. Christians believe that Christ will return, and set all thing in order. Those who curse Israel will be cursed, and those who bless Israel will be blessed. God is in control. Choose wisely. And just what are the Fascist Iranian/Hezbola variants practicing when they stage weekly mass rallies calling for death to America, hold military parades with missiles with Death to American slogans plastered on them, invade US embassies and hold the staff hostage and stage mock executions? Peace rallies? You are a queer one. Hollywood movies scares a lot more than this, but evereydoy likes it. Haha-dont you know that Shias also kill woman because of the Sharia?The only different is the Burka and that Iran allows old christian communities-but its not allowed for christians to speak about their religion with muslims. Well Iran is waiting with open arms for Israel to strike or even Use to do so. I think Iran welcomes it as then US forced in Syria would be decimated easily with Russia air cover. true, when RF says they will defend ‘israel’ if the state is attacked, the corollary would be that the opposite circumstance would lead to the defense of Iran and all that that would imply. “Defend”, like a wolf defends a flock of sheep. Pootin LIES because he is KGB. No sane person trusts Pootin, any ayatoola, ASSad. Trump is smarter than Obooba or Dhimmi Carter. In Syria…usa would wipe the floor with the Russians. Any variant of the above mentioned Islamic sects are not of any good.Both are poisons to choose from that have the same outcome if ingested-death. Islamists love death as much as we in the west love life. Russian too love life too but they are currently under one more of their tyrants who thinks he will get back to the old Soviet days by expanding the Soviet sphere of influence far and wide. Putin is an especially dangerous enemy because he lies so much and he has a long history of supporting enemies of Israel for his own personal gain and the gain of the oligarchs. They use Israel as the proxy enemy (in place of the USA) because of Israel’s sometimes close relationship with the USA. Same too where the Left and Islamists hate Saudi Arabia, because SA is seen as an ally of the US. What a neighborhood for the Jewish state … Surely, there must be a Reason, pre-ordained 3 000 years ago ! Is all they wanted to know, thanks. so my question is was it a SU 57 that shot down the Israeli F-16? between the 2 controlling the US, Trump is a loose cannon… and the US deep state is addicted to war cause war equals money, so either way the US is currently a massive global risk for war erupting. Correct, massive military spending is what backs the Federal reserve Dollar. Creating conflict is what justifies the spending and advances the project/scheme. Pootin makes money with continual wars. Without War, Putins Russia collapses. And Pootin was “invited” into Syria like Poland invited in hitler and stalin in 1939. The fact that Pootin supports Islamists who use poison gas on their fellow Muslims shows what kind of a guy Pootin is. To Pootin, it’s all about MONEY and GOLD – rubles are worthless. I like Trump a lot, I know Putin is very very evil. I think the CIA FBI want to enjoy the luxuries of high lvl FSB. The White House is fighting for its life. The swamp is rising. Please Gd save the US, the Queen, Israel and all the good people that want to serve you and not the Devil. funny putin has the biggest receiver. Russian quality.